The underpinning technology of WiFi rests upon radio waves that create wireless local area networks over which data can be exchanged. In the real world that means we can send images and operate cameras as if through the air. The stress and strain of downloading images from cards has been replaced by invisible communication with automatic transfers. You don’t even need to be in the same room as your camera to take a shot. There is, of course, plenty of new kit to make the magic happen, and at the camera end this comes in two forms; wireless file transmitters and built-in systems such as the WiFi capabilities of the Canon EOS 6D. At the other end of the set-up, away from photography, there are a host of wireless-related terms that are worth getting to know. Networks, routers and infrastructure configurations are just some. The exciting possibilities of wireless technologies are far-reaching and game-changing. Whether you’re setting up your own studio, working in someone else’s, on location or covering an event; going wireless could fundamentally change the way you shoot, edit and manage your workflow. 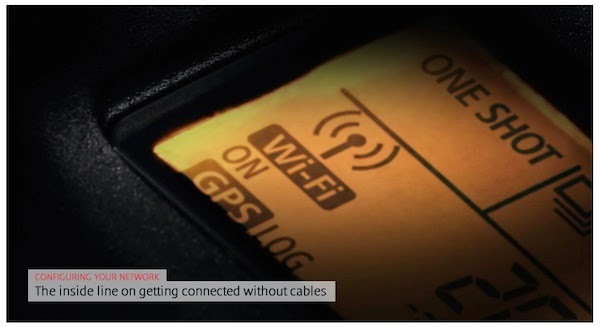 In this special technical article, we look at some of the key components that make WiFi work and, more importantly, how you can get the best out of them for your photography. Getting connected is what WiFi is all about. Broadly speaking, there are two ways of doing it. An ad hoc network configuration – where you do not actually need a router – is designed to link directly from a camera to a computer in a dedicated one-to-one connection. This is especially relevant when working with a single camera and a computer which isn’t connected to a network. Easy to set up and implement, ad hoc configurations are best suited to small, one-man studios or location shoots where quick communication is not a priority. Indeed while ad hoc networks are convenient, they offer slower transfer rates, use more power and have a smaller range than the more powerful and versatile alternative. Infrastructure configurations are more complex, more versatile and enable you to connect to a computer or a network via a wireless network router. These multifaceted set-ups have the ability to connect several WFT devices, provide faster transfer rates and achieve greater stability. With these features, it is easy to see the merits of infrastructure configurations, but they come at a cost. The downside of the added complexity of infrastructure networks is that they require additional time and effort to implement and are certainly not a make-do solution. In short, ad hoc networks are used when no access points are available, perhaps on location in a remote area, while infrastructure configurations are best for studio work where a permanent networking solution is required. Routers are available in either single or dual-band models and deciding between the two can be tricky. Let’s start with the basics. Wireless communications operate within the 2.4 and 5GHz bandwidth frequencies. Some routers use the 2.4GHz band (such as 802.11a and g devices) while others can use both 2.4GHz and 5GHz (802.11n units). Some of the latest routers only use 5GHz which might seem restrictive but since less equipment runs on 5GHz, it is less crowded and therefore better equipped and faster for intensive work like streaming large files. The downside of 5GHz is that it struggles to sustain signals over longer distances. It is worth weighing up these points before making your choice. There may also be compatibility issues to consider, although the latest wireless file transmitters (such as Canon’s WFT-E7) offer maximum flexibility through 802.11a/b/g and n technology. A few years ago, 300Mbps was the standard speed of most WiFi routers. These days, 1900Mbps routers are available, although you will probably never experience these speeds in everyday use. These theoretical figures are clocked in laboratory conditions, far removed from the clutter of a typical office or studio. In reality, reaching speeds of half that is impressive. It is also worth noting that router speeds relate to the performance of your network – rather than the speed of your Internet connection. The former influences how quickly you can send and receive files on your network while the latter indicates how quickly you can transmit them. Service Set Identifier (SSID): This is often called ‘the network name’ and is used to identify the WiFi network that’s being used for communication. Domain Name Server (DNS): In networks connected to the internet, the DNS enables the use of names to identify ftp servers, for example ftp.canon-europe.com instead of 192.168.1.2. Understanding some of the principles of WiFi is a must if you want to send images or work remotely. To do this properly, it is often best to put your camera to one side and consider the technology behind jargon. A good place to start is the access point, which is often referred to as a router. These magical units provide the all-important connection to the network and often the Internet. As a result, routers typically form the hub of your data flow, connecting a series of devices either through hard-wired Ethernet cables or, more importantly, wireless connectivity. Often routers provide additional capabilities, such as USB ports, for attaching external drives or printers that are then shared by the devices on a network. Built-in firewalls can also protect against Internet threats and some WiFi routers allow you to set up limited access for guests. All this functionality means routers are a vital piece of kit and can form a vital wireless 'bridge' between your cameras and peripherals, both in the studio and on location.